Valentine’s Day is here again and some of you will receive cards with little love messages and rhymes from your lover or new admirer, perhaps a bouquet of roses or be spoilt to an evening of romance. For you Valentine’s Day will be romantic and exciting, a day to feel special and loved by your partner. However, for many it is a day that accentuates loneliness. As you see and hear others shriek with delight at their gifts and promises of new love, your solitude seems so much more unbearable than it did just the day before. So for those of you who have love and romance this Valentine’s, I hope you have a fabulous day!! For those of you who are on your own, or in a relationship that doesn't give you much reason to celebrate on Valentine’s Day, I have a gift for you. As a firm believer in positive thought and affirmation, I have a few affirmations that are associated with a couple of the Major Arcana cards, and I would like to share these with you, as they have helped me during the times I have felt lonely or unloved. Letting go of someone I love deeply is a challenge I can barely face. However, the realization that I cannot make someone love me helps me understand that hanging on, or staying with someone who doesn't love me only grieves me more. I will no longer crave to reconcile a relationship with someone who does not wish to be with me - I will no longer tolerate a relationship where I am not loved or respected by my partner – I will never chase someone who isn't interested in my advances. I accept total responsibility for the choices in love that I make. I can choose to believe I am lovable and will find a fulfilling and loving relationship. I can choose to let go of someone who does not give me love or joy. 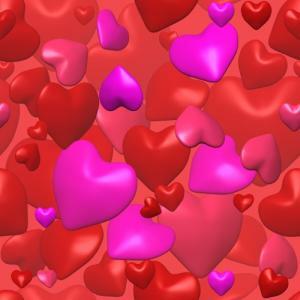 Whether you are missing an ex-lover, going through divorce or separation, or experiencing loneliness because you haven’t been in a romantic relationship for some time - don’t let the 24 hours of Valentine’s Day get you down. It is a day like any other day, look beyond it and turn thoughts of dismay and feelings of loneliness into hope and optimism. Every minute is a new opportunity to change everything – love so often turns up when you least expect it.